The latest Asian Development Bank report predicts less rice in south India and a severe water deficit across the country. Monsoon floods over the past couple of weeks have killed at least 28 people in north India, more than a 100 in Nepal and displaced thousands of people living in the region. And in coming years, climate change is only going to make water-related hazards in the Himalayas much worse, the latest Asian Development Bank report warns. The bank predicts that South Asian countries will witness an average economic loss of 1.8% of GDP by 2050, a number that will shoot up to 8.8% in 2100. It might be difficult to think ahead of the turn of the century, but here’s a picture of what life in India will look like in 2030. As most of India gets warmer by between 1.5 and 2 degrees Celsius, the country will be battling a water shortage. 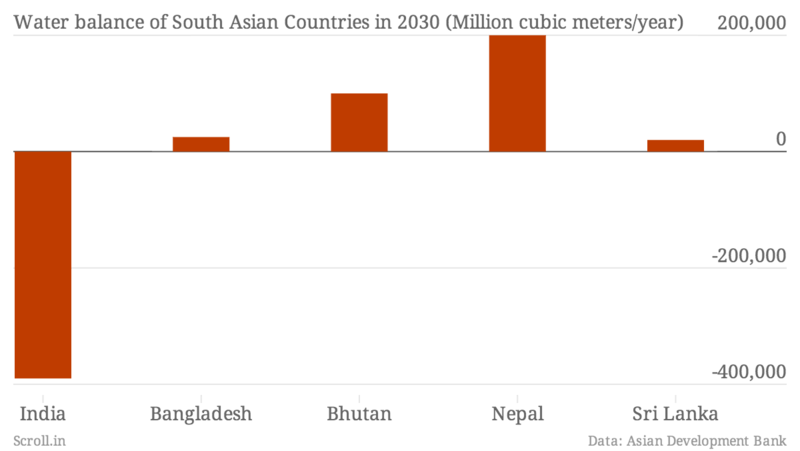 If the world takes some action to control carbon dioxide and emissions are moderate for the next decade and a half, then Bangladesh, Bhutan, Nepal and Sri Lanka will all get more water in 2030 from more rainfall. In India, however, the amount of rainfall will vary drastically across the country. It will be dramatically higher in some areas but leave other areas in drought. Higher temperatures will also increase evaporation across river basins leaving us with a water deficit. In Mizoram, Manipur and Madhya Pradesh temperatures are likely to be more than 2 degree Celsius higher on average. After its searing hot summers, Delhi will get nearly 40% less rain than it does now. Kerala and the northeast will get 20% more. 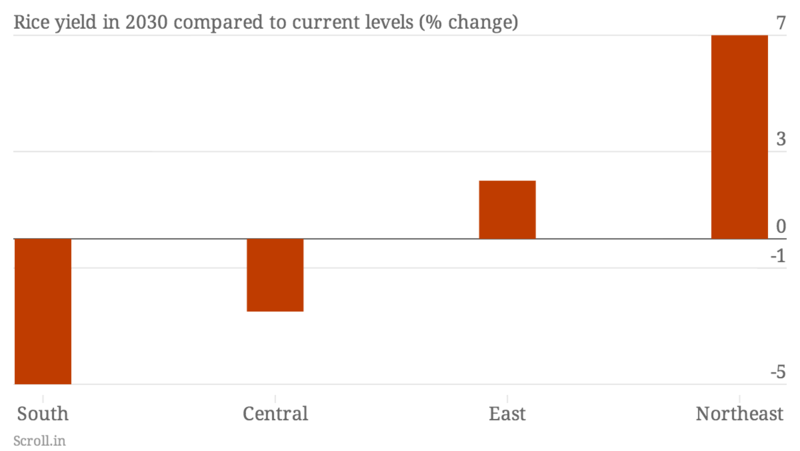 If global emissions remain moderate, aided by some mitigation action around the world, temperatures over South Asia are expected to increase less than one degree Celsius by 2030. Even so incidences of dengue and diarrhoea will rise but Indians would be less afflicted by malaria in this scenario. With all these troubles and despite all its advances in technology, India could still expect to have an energy shortfall of 5 percent if there is no change in climate action. India will need to spend up to $8 billion to adapt to this shortage.